What was your highlight of Apple’s iPhone event? Perhaps it was Jony Ive’s voice coming out of a poop animoji, or Craig Federighi enthusiastically clucking like a chicken. 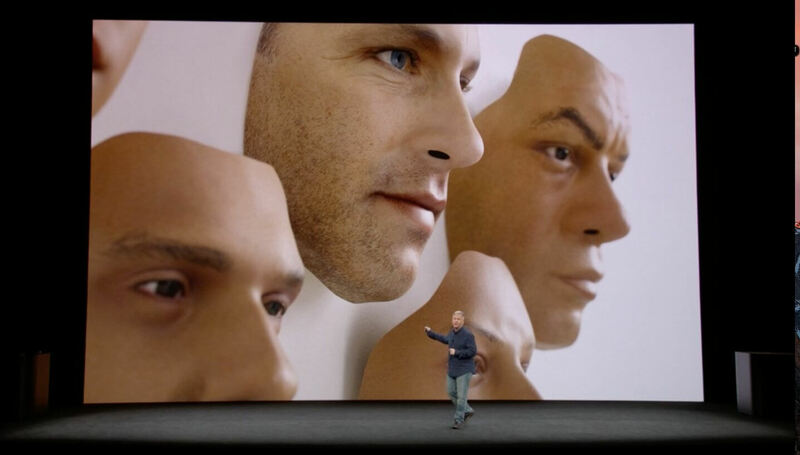 For many people, the most memorable moment came when a live demonstration of the new Face ID system failed to work. But according to Apple, the security feature "did what it was designed to do." As senior vice president of Software Engineering Federighi picked up the $999 iPhone X, he announced that "unlocking it is as easy as looking at it and swiping up." But things aren’t always as simple as they seem - the handset failed to unlock. Ever the professional, Federighi said “let’s try that again,” but was met with a prompt stating: "Your passcode is required to enable Face ID." He then switched to a backup model, which unlocked first time. Not only did the moment cause social media to explode, but it also saw Apple’s share price temporarily drop from $163 per share to $159, though it quickly recovered. In a statement to Yahoo's David Pogue yesterday, Apple said the security feature was working correctly. It claims the iPhone X had attempted to authenticate the staff who were setting up the demo as they moved the handset around and looked at its screen. When it failed to recognize them, it defaulted to the passcode after a set number of unsuccessful attempts, which in Face ID’s case is reported to be just two. So, according to Apple, nothing went wrong. But don't expect everyone to accept its explanation. I wish I was there to witness that, it would've woken me up from the slumber I would've been in. Afterwards I would've been rolling in the isles. "when a live demonstration of the new Face ID system failed to work. But according to Apple, the security feature "did what it was designed to do."" A likely story to cover up how awful face recognition is. too many variables. LOL...yeah, it wasn't a FAILURE, it was a FEATURE. which gives it the 3d look, and the warmth for the IR sensors. increase the screen size, less bezels, but keep the base footprint size the same. Before, you simply touched the ID sensor to turn the phone on and unlock it. Now, you have to press a button to turn the screen on, hold it to your face, then swipe up. That's a total of THREE actions required. My Huawei Mate 8, you simply press your finger to the sensor, it turns on and unlocks. For additional security, Face ID is attention aware, meaning it unlocks your iPhone X only when you look toward the device with your eyes open. What "handling" were the stage people doing that a) would involve them looking directly at the device with their eyes open, & b) what were they possibly doing that "Craig" couldn't be bothered to handle himself? Oh hell, I forgive them! I've been brainwashed to do so. Tim Cook said so, when he channeled Steve Jobs, at their last seance....er, I mean "board meeting". JaredTheDragon and p51d007 like this. It is the advent of Fail ID. There was no error - he was just holding it the wrong way. I can't wait for all the angry, jealous boyfriends/girlfriends to bypass this while their partner slumbers. Perhaps it will finally spell then end of the "committed relationship" era. Gotta love rigged benchmarks and faked results. Since Apple's been doing this the entire time, and paying everyone to go along, I'm a little disappointed that they're not even faster. Remember when they made computers and people actually got to benchmark them with real software? Another example, the more recent Lumia 950 vs the iPhone 6s. And another case of a dual-core part allegedly beating a 6-core with more RAM. Are we to believe that Qualcomm was that far behind Apple, despite both having access to the same ARM tech and the same manufacturers? So you deliberately missed my point? or just missed it? YES, the Apple products win benchmarks... the reasons are multiple... but REAL WORLD tests still have the iPhones out-performing Android devices... the hardware is only part of the equation - since the Apple hardware was specifically designed to ONLY RUN APPLE SOFTWARE, they have a huge advantage!! This is why they win... I'm not saying ti's a fair fight... that's just how it is! The benchmarks and ratings cannot be equalized then, if it's all on different software. Which is how they pull the wool over peoples' eyes. But there are many cross-platform benchmarks that are designed for equivalency, so how would you explain their progress there? I know that clock speed alone isn't the whole story on any CPU, be it an SOC or otherwise. My Bulldozer and PIledrivers, even at 5GHz, aren't as fast as a Ryzen with the same core count. But would a dual-core Ryzen outshine a six-core FX chip? We can't know, though we do know the 4-cores outpace the 8-core FX series handily. Just another example, in this case spanning five years of development. Regarding the iPhone chips, they're allegedly ahead with same-generation opponents though. 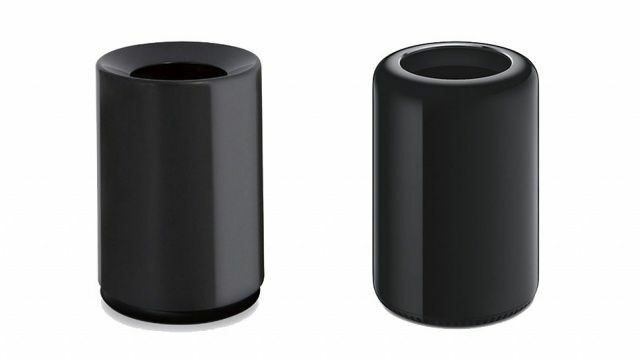 I'm not saying that Apple isn't designing decent chips. I'm simply saying I don't buy the benchmarks. Apple has their money in so many pockets, not just the software devs but even sites like this, that I don't think they're objective. Any time anyone not in the know drops the word "fact" instead of an actual argument, such as technical details or memory throughput or anything remotely resembling an actual reason or mechanism, one can be sure they're shining you on. Since you don't know and can't explain why these SOCs perform better, I'll go ahead and keep my doubts. At first it seemed like you knew something about CPUs, but thanks for your opinion just the same. You fail to understand the point.... It doesn't matter WHY iPhones perform better than Android devices.... They simply DO! No, I totally got your point. You read a bunch of reviews and regurgitate their summaries, sans any knowledge of why, how, or what could be done to find out why or how. Hey, thanks buddy, but I already have enough shills in my life trying to sell me on stupid stuff. I'll let you know when I find out the answers here so that next time it comes up, you yourself might have some answers instead of failing to address the topic outright then claiming your opponent failed to understand the point, even though you blatantly failed to understand mine. Good talk. Look at the screenshot closely, it says "Your passcord is required to enable Face ID". This is quite normal could be that the phone was just restarted, same thing applied for Touch ID as well. Benchmarks, nothing more than a way to sucker people out of their money. Phone processors in the last few years, are FAST ENOUGH, given what people typically use them for, ie: text, social media, youtube, browsing etc. It's not like people are using these things to solve quantum physics equations, or, trying to solve Pi. It's akin to buying a 100,000 sports car, but, only driving it in a city with a speed limit of 35mph. Manufacturers have nothing left other than promoting more is better. More megapixels, more processing power, more color choices and on and on. I really don't get what the big deal is. Even Touch ID does this. Sometimes it's because my phone restarted. Occasionally it's because I left it lying around with company over and somebody like my niece tries it out a few times. Anybody who has been using Touch ID for any reasonable amount of time knows that iOS will occasionally require a password. All this really demonstrates is that Face ID will be similar to Touch ID.
. . . and he made sure to demonstrate the technology several times afterwards to reinforce to the audience that yes, it does work. So I don't get why everybody is focusing on this as a big problem.